It does not seem difficult to answer this question; however, there are certain considerations that we must look to keep a watch on our wrist. Until recently an essential complement to a man but today it has become an accessory which is a style statement. In today’s post we will give some interesting details along with some recommendations that we feel is worthwhile to knowing to wear a stylish watch. Generally, the clock is usually placed on the left hand. The origin of this preference goes back to the year 1904 when Louis Cartier created the first wrist watch commissioned by the Brazilian pilot Alberto Santos Dumont. These clocks operated by winding and should be adjusted by hand using a crown that was placed on your right. 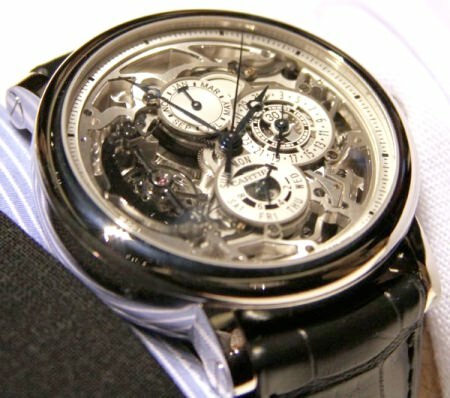 The future owner of the Cartier watch was skillful and therefore needed the clock was on the left side to adjust easily. Although today the clocks have an automatic system and do not need to wind to work properly, it has been the custom of wearing the crown o the right of the clock and places it on the left wrist. 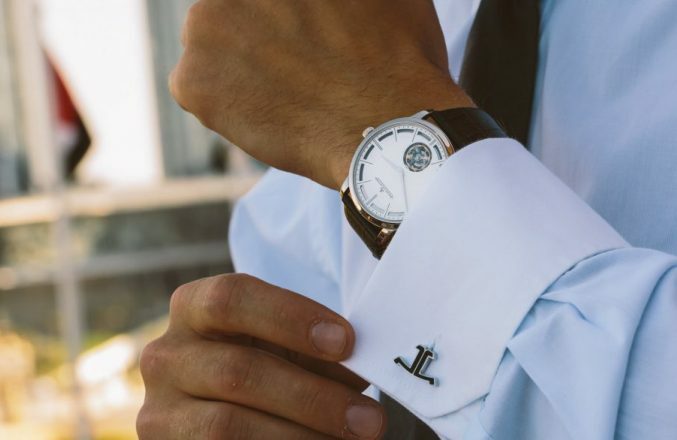 Of course, if a gentleman likes to take it in his right wrist nothing would happen, the only thing to keep in mind is that if it is your dominant hand this may suffer more bumps and scratches. 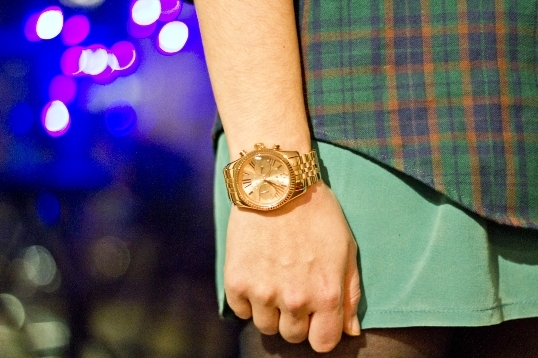 The trend towards extra watches (greater than 44 mm) is saying goodbye. 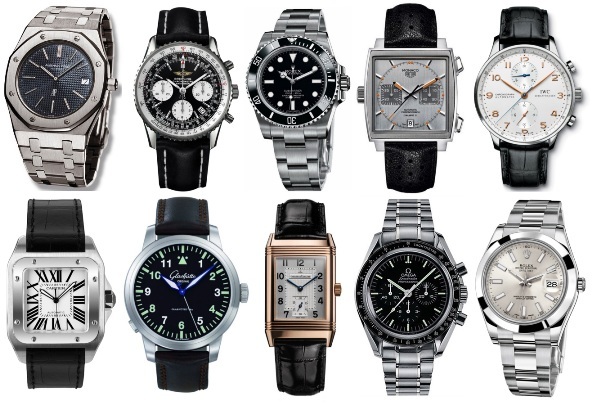 Until a couple of seasons ago (more or less) but they were all the rage this fall-winter 2015/2016 men’s watches come back with an average size. This measure is not fixed and every watchmaker provides a clock with different dimensions and this is where the judgment of the knight comes into play. You choose the width of the clock that will always choose this should go according to the thickness of the wrist. This is important since it is not favoring one XXL watch in a small wrist nor wears a small sphere watch in a wide wrist. Matter of style and preferences but at this point there are also some guidelines. The steel belts are more formal (normally) to leather straps that have a sportier look. With this in mind we use a clock or another depending on the occasion. On the other hand, the leather strap absorbs humidity and body sweat. This makes this arm to age more quickly that makes it one of steel, but it also has the advantage of being a very comfortable strap both in summer and in winter.